Buzzes with gossip and scandal....This is one of the best Hollywood memoirs ever. - The Jewish Chronicle The beauty of Black Sunset, for most readers, will be found in the details, lovingly or painfully described, page after page. Sigal brings the innocent and guilty back, once more, at close range, and proves himself the liveliest of literary nonagenarians in the process. 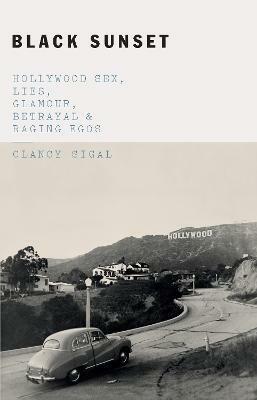 -- LA Review of Books Sigal stumbles into Hollywood [...] lands the most reviled job in the biz - talent agent - and this milieu is where most of Black Sunset takes place, haunted by the Wink and by a conspiracy of accidents. Black Sunset moves with the express swagger of a Hawks or Wellman picture, although it feels like an Ozu once it's all over and the characters linger in silhouette as if they were a fixture of the freeway system at night. -- Counterpunch 'Gripping ... a great tale of survival. [Sigal is] a terrific writer.' -- Literary Review ..His scapegrace adventures are described with so much vitality and scabrous wit you feel as charmed as one of his serial conquests...[a] marvellous book.